Whether you’re rather new to the world of Umbrella Corporation or you’ve been a fan since the late 1990s, the release of Resident Evil 2 has likely got you pretty excited. The game is a reboot of the 1998 PlayStation (yes, the original) game of the same name. Before you start sighing and swiveling your eyes about the lack of originality in games these days, slow your roll. This isn’t just a copy – this is a reimagining in the very best sense of the word. If the release has your appetite whetted for some spooky, jumping-at-shadows horror games, read on. Here are 10 games like Resident Evil 2 you can play today. Possibly the most intense psychological horror experience on our list, Soma brings you to a dark world at the bottom of the sea. Populated by some truly terrifying mechanical monsters, the former research facility is an exercise in concentration under extreme pressure. This is a thinking person’s game, offering a great deal of immersion, avoidance and puzzle-solving. With stellar voice acting and storyline, this game is more focused on its narrative instead of more mundane aspects like inventory management. You play Jarrett, an unwitting protagonist who isn’t quite sure why he’s been transported to this undersea hell. As the game plays out, you and Jarrett discover this and much, much more. A solid scare for those who prefer a bit of science fiction with their horror. Another goodie for those who love sci-fi horror, Isolation is a great game if evil invaders from another planet scare the living fluff out of you. The game is set 15 years after the original 1979 Alien movie and follows Ellen Ripley’s daughter, Amanda, as she searches for the truth about what happened to her mother. Fans of the original movie will be very happy with this game, as it captures the original 70’s vision of the future far more than the action-heavy 1986 follow-up Aliens and keeps the original mood as well. Stealth and problem-solving are far more important in this game than blasting the crap out of endless alien enemies, making this another awesome choice for those who like to feel as though they’re living inside their games. If it’s not pretty obvious by now, we like sci-fi horror games, but we slightly prefer straight horror. With that understood, if your preferences are the opposite, simply flip this list upside down (in your mind! Put down your computer!) and you’ll be a happy camper. Dead Space may not have a name that conjures up images of brilliant writing, but don’t let that hold you back from giving it a shot. Set in an abandoned space station, Dead Space has spawned two sequels (so far) and a legion of dedicated fans. 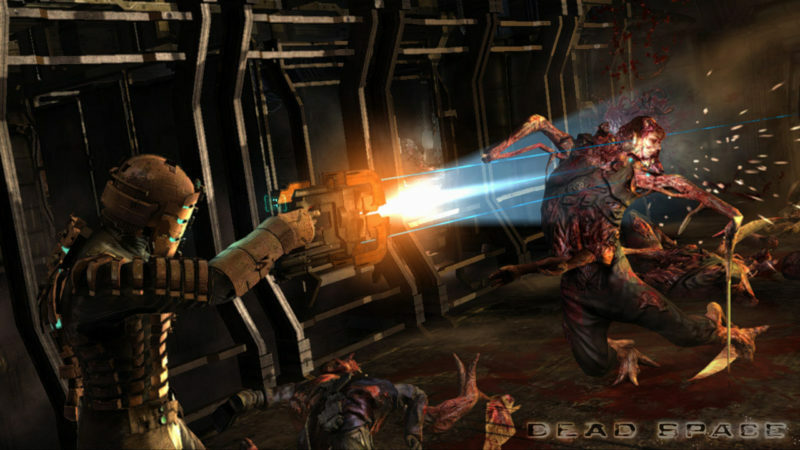 You play as Isaac Clarke, a truly unfortunate protagonist who must face dead space station crew members re-animated into some exceptionally terrifying enemies called Necropmorphs. Don’t bother trying to kill these things in a traditional manner – there are specific ways to dispatch each different type. If you do it wrong, you’ll be treated to regenerating limbs and new baddies birthed from the semi-corpses of dying ones. There is definite thinking required in this game, but it’s more geared toward bad-guy-blasting than our previous two picks, making it a lot of fun for a night in with friends. 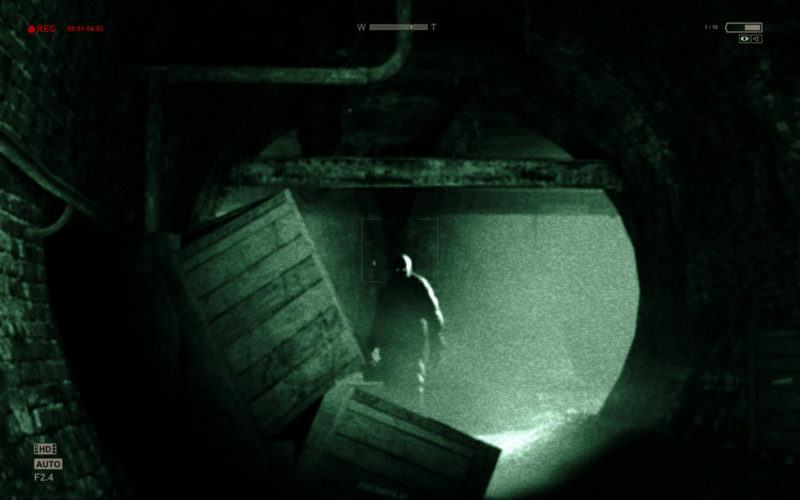 Sliding into a more traditional take on horror, Outlast does a great job of dropping you into what could easily be called hell on earth – a psych hospital in which the lunatics have taken over the asylum. Well, not quite dropping you – you’re investigating. Which is quickly revealed to be a horrible idea. You don’t have any allies in this game, and getting out once you’re in is, well, what the game is all about. You will navigate the nut farm from hell as Miles Upshur, a journalist who has no idea what he’s just stepped in. One of the most frustrating and frightening aspects of the game is also one of its most distinctive and unique – you can’t attack. Literally. Not at all. While we’re not really sure why Upshur doesn’t at least try to kick the crap out of the loonies he has to face, we don’t really care, either. The result is a beautifully crafted exercise in psychological and traditional horror, forcing you to sneak, hide and otherwise stealth your way out of this massive (it’s called Massive Mountain for a reason) slice of Hades. While technically classified as action-adventure survival horror, we found that TLoU shares enough creepy characteristics to keep Resident Evil fans very, very happy. This is refreshingly different from games which share its characterization but are far heavier on the action than the scares. It’s also the most heavily awarded pick in our list, having been released to both critical and fan acclaim and winning several Game of the Year awards from various websites and publications. The premise of TloU is pretty familiar. You, as Joel, have been tasked with escorting teen Ellie across a USA which looks far more Chernobyl than anything you (we hope) remember from your teenage years. Along the way, things don’t go as planned (shocker!) 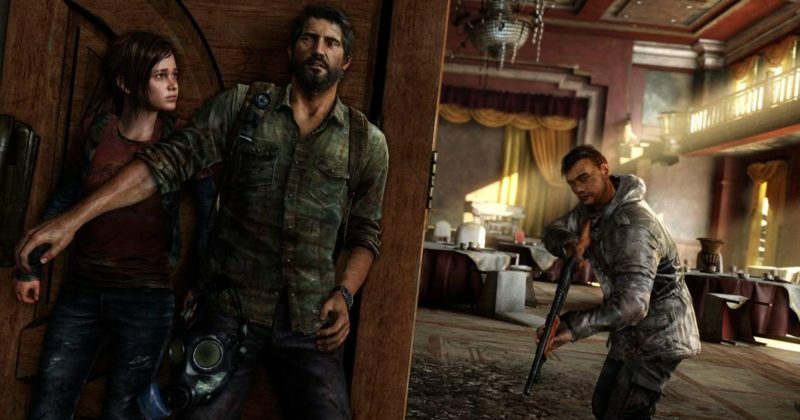 and you have to protect Ellie from a range of enemies which includes humans pushed to their limits by the semi-apocalypse and mutated cannibals. You’ll enjoy the use of traditional weapons as well as some ingeniously improvised ones, and the overall gameplay is a beautifully crafted blend of traditional action, brain power and fright. Did we mention that we love traditional horror? How about 80’s and 80’s-inspired slasher films? If we didn’t, now you know. Nothing makes us happier than a group of teens trying to outwit a psychotic killer, making every possible mistake along the way and, more often than not, dying anyway. 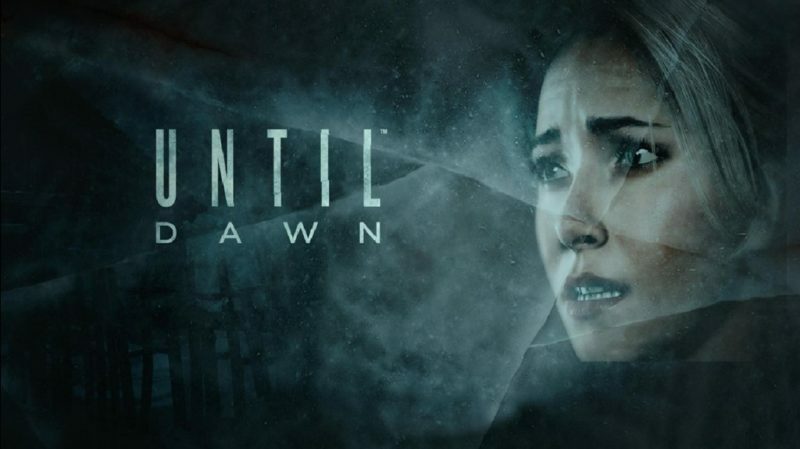 If you share our love of classic horror, you will absolutely flip for Until Dawn. This game’s setup is pretty much all we needed to dive right in. A group of eight teens find it a great idea to steal away to a mountain cabin for a one-night vacation. This is nostalgically awesome enough. However, adding to the backstory, exactly one year ago on Blackwood Mountain, two other teens disappeared. One of those two was the twin sister of a current vacationer. Seriously, somebody pass the popcorn! Lest you think that Until Dawn relies strictly on 80s-inspired cheesiness, we can’t stress the technical perfection of this psychotically fun game. You play as all eight characters, which leads to innumerable possible outcomes for each scene. Gameplay, voice acting, characters and, perhaps most important of all, horror elements are executed beautifully, making this a choice that even non-80s-horror fans are sure to love. Survive the night – sounds simple, right? Welcome to Blackwood Mountain. If you find yourself craving more, be sure to check out the sequel and prequel. From the creator of the beloved Resident Evil gaming franchise, Shinji Mikami, this is a game whose pedigree proceeds it. Thankfully, as much as we were expecting from this creator, we weren’t disappointed, and our expectations were exceeded at several turns. In the simplest and most direct terms, this game is an epic and full-out horror mind-f@#$. Pardon our French, but when confronted with characters which range from a blood-drenched dude wielding a chainsaw and sporting a spiked mask to a creeping, crawling many-legged thing named Laura – not to mention the more mundane ways to die like bear traps and bombs, this is a screaming descent into pure horror. Another traditional horror choice, this one is great for fans of period-piece horror movies. You play a protagonist who is never named, a painter who sets out to create his masterpiece, or magnum opus. Set in England during the 1920s, the background visuals are truly stunning and give this particular creeper a deliciously retro feel. As you work on your painting, the fun begins, with insane hallucinations fueled by drinking, schizophrenia or both. The creep factor is very high in this one, which is why we recommend it for dark and stormy nights. 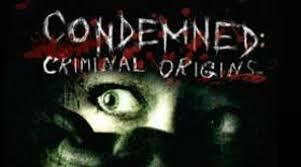 If you like a horror game that focuses more on fighting than an intricate storyline, Criminal Origins is for you. Heavy on melee-style combat and puzzles, this is a great game to play on a night in with friends. 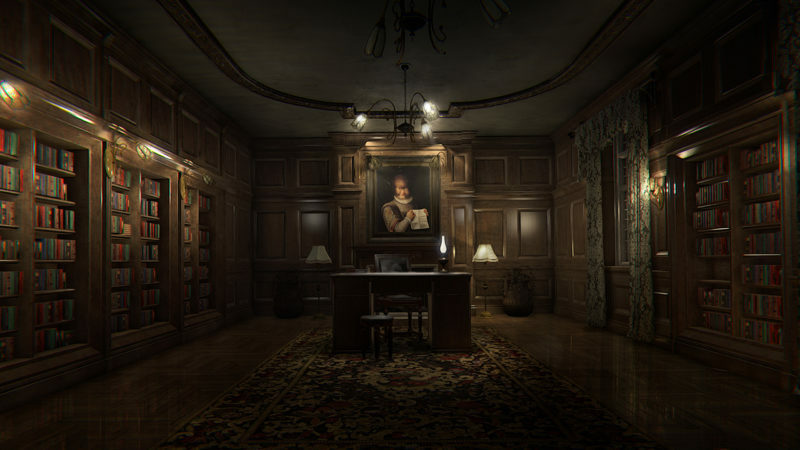 Fans of movies like Silence of the Lambs and Seven will appreciate the storyline, although it’s a bit light when compared to other games on our list. You play as Ethan Thomas, a CSI agent framed for murder, on his quest to clear his name. The darkened urban settings (use of a flashlight is necessary in most scenes) and fun, improvised weapons adds to the reality factor. All in all, great fun for fans of action horror. Did we mention that we love classic horror? This game had our names written all over it before it was even released. Based on the classic 80s horror movies featuring Jason Voorhees and his beloved mother, the game is an underrated jewel which features asymmetrical multiplayer action and an semi-open-world environment. Up to seven players can control counselors at infamous Camp Crystal Lake, with one lucky buddy playing Jason himself. There is also a single-player version which manages to capture nearly all of the fun. The game was cleverly designed to ensure that even people who’ve never seen a single Friday the 13th film can thoroughly enjoy it, although true fans will love movie throwbacks including levels named after Camp Crystal Lake, Packanack Lodge, Higgins Haven, the Jarvis House and Pinehurst. Any way you look at it, this game is loads of fun and a great choice for any horror fan. Top games like Resident Evil 2 Remake? We have listen ten alternatives to the recently released and highly popular Resident Evil 2 Remake. If you do have other better suggestions that should make the list, do leave your comment below while the box is still open.